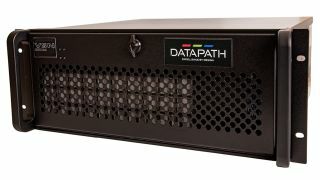 The What: Datapath (booth 753) will show the next generation VSN1192, which it calls “the world’s most powerful video wall processor” at InfoComm 2019. The What Else: Presented in the U.S. for the first time, VSN1192 is equipped with dual Intel E5 processors to provide high power with the reliability of Datapath’s VSN range. The latest generation backplanes are designed by Datapath engineers to improve stability and reduce operating temperature, along with all the processing and connectivity required for today’s high-performance control rooms. Datapath will also show its latest VisionSC-UHD2 capture card, the most powerful 4K card in the company’s portfolio. The Vision SC-UHD2 provides two HDMI 2.0 capture channels with HDCP 2.2 at 4K60 and full 4:4:4 chroma sampling. This complements Datapath’s Vision SC capture card family and offers frame grabber technology. Alongside Datapath’s latest generation of video display management, visitors to their InfoComm stand will also see how Quant software integrates with video wall management. Quant allows users to instantly stream applications and data to and from video walls, as well as to other users on the same network who then have KVM capabilities to interact with the content—vital for a mission-critical operation. There will also be demonstrations of Datapath’s latest WallControl software, which is now available as a plugin to work in tandem with leading VMS security software. The Bottom Line: Datapath’s VSN systems are used by governments and organizations around the globe, in industries ranging from defense and network security to utility and blue-light services. The addition of dual Intel Xeon E5 processors now gives the VSN1192 a clock speed of 2.3GHz, 8 cores, and a 20MB cache. Memory options are the highest in the Datapath range—up to 128GB.